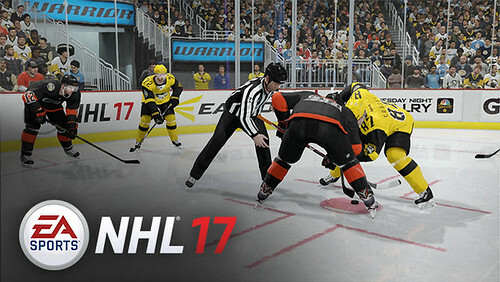 The latest NHL 17 content update is now available for download worldwide on PlayStation 4 and Xbox One. 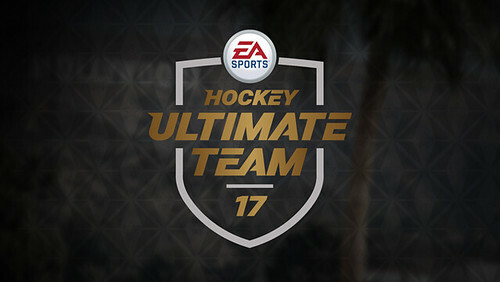 This update includes a new mode to Hockey Ultimate Team called Competitive Seasons, new uniforms and more. Additionally, Tuner 1.02 has been released to address community feedback for gameplay and game modes. Competitive Seasons is a new game mode which allows players to compete in a “monthly” season format to earn in-game rewards. Each monthly season consists of rounds. Complete three games to earn round points which determine your ranking on the Round Leaderboards. At the end of each round, you will earn a reward as well as Season Points that count towards your season total. Finish as high as you can in each round to accumulate as many season points as possible to earn a larger reward at the end of the season. *NOTE: Rounds and Season durations are subject to change. Tuned down puck carrier’s reaction speed to reacquire a puck after losing it. Increased ability to make saves in tight to their body and decreased ability when reaching to reward better puck tracking and cutting off angles. Increased ability to make saves on cross grain shots by tuning movement so goalies will stay square even if the user is requesting to move away from the shot direction. Increase save success on blocking saves. Decreased the impact goalie movement to help promote puck tracking so that good angles and positioning mean the most for a goalie’s ability to make a save. Increased goalie speed for post-to-post movement. Increased AI goalie’s awareness for a possible shot off a faceoff. Increased ability to react after a save to increase their chance of getting back in position and making rebound saves. Rolled back change from previous patch for the goalie occasionally getting stuck in butterfly as it was causing a worse knock on issue. Increased all goalie classes height to 6’2”. Increased speed and agility of all goalies and added variance with Standup being the highest and Butterfly being the lowest. Increased Hybrid goalie’s recover rating so that he is now faster recovering than the Butterfly goalie. Increased rebound control of all classes. Standup goalie’s will still have the lowest rating while Butterfly goalies will have the highest. Increased poke check ability for all classes. Hybrid has the best poke check rating of the three classes and Butterfly has the lowest. Hybrid goalie now has the best stick side and paddle down rating of the three classes. Increased vision for all classes. Butterfly is still the lowest and Standup is still the highest. Increased 5-hole rating for both the Hybrid and Butterfly classes to separate them from the Standup goalie. Increased rebound control for the AI goalie class. Lowered hand-eye ratings for all classes and rebalanced the category to see more realistic deflections and bat-ins across the different player classes. Lowered shooting attributes of Grinder, Power Forward and Enforcer Forward. Lowered passing attribute for the Grinder. Increased balance of the Two Way Forward and Hitting Sniper class. Increased the ability for defensive builds to intercept passes but still kept the same variance in abilities relative to each of the classes. Raised discipline of the Two Way Dangler. Added Toronto Maple Leafs Centennial Uniform. Added Detroit Red Wings Centennial Uniform. Added Chicago Blackhawks Winter Classic Uniform. Added St. Louis Blues Winter Classic Uniform. Added Philadelphia Flyers Stadium Series Uniform. Added Pittsburgh Penguins Stadium Series Uniform. Added Frolunda Indians Home and Away Uniforms. 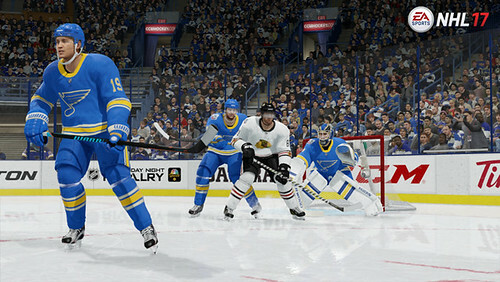 Added Linkoping HC Home and Away Uniforms. Added Baie-Comeau Drakkar 3rd Uniforms. Pittsburgh Penguins Arena now named PPG Paints Arena. Fixed CCM Extreme Flex Pro 3 Blocker. Fixed Regina Pats Medallion to correct logo. Fixed Buffalo Key Bank Arena scoreboard signage. Increased the minimum rating a player needs to get a saucer lift on a regular pass. Now Playmaker, Jumbo Playmaker and Puck Moving D will be the only players with the advantage. Fixed camera clipping issue in Semi-Pro arena in EASHL. Region and Skill-Based Matchmaking restrictions were removed from Private PIN Group Matchmaking. Anti-griefing logic was removed from Private PIN Group Matchmaking. Fixed an issue where player fighting bias was being set to 0 when the league year changed from year 1 to 2. Last edited by cdj; 01-19-2017 at 07:48 PM.